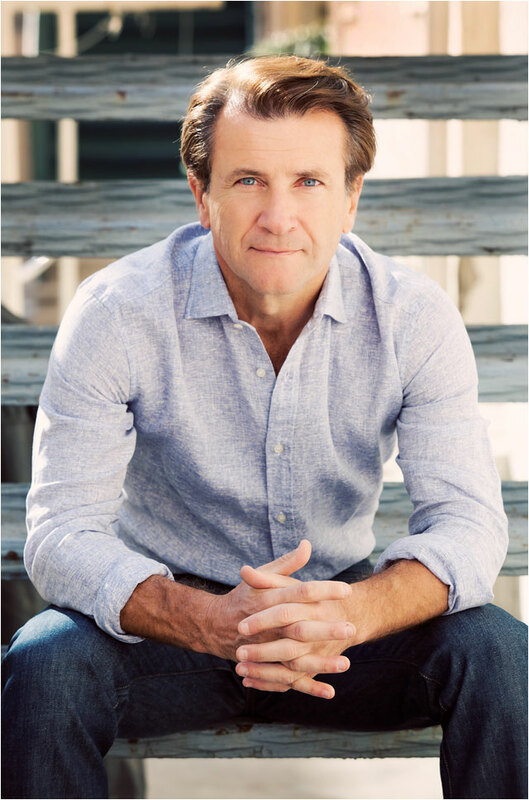 One of the best words used to describe business mogul Robert Herjavec is “focus.” It was a young Herjavec’s focus that helped his family transition to living in North America after escaping from former Yugoslavia at the tender age of eight. That same drive also helped Herjavec bounce back in his mid-20s after losing his job. His ambition and willingness to work hard helped lead him to the top of the business world. As we start the new year, Herjavec says that it’s a sense of purpose that will help people reach their resolutions and achieve their personal goals. “Anything you focus on in life comes true,” Herjavec says. “If you’re going out partying all the time, it certainly comes true. If you focus on weight loss, that comes true. The key to financial success is consistency. Success in business life begins in one’s personal life. Herjavec says that having both a healthy mind and body is key. If those are in tune with each other, he says it makes accomplishing the other obstacles you face at work and home much easier. “I think the real lesson is to live in the present,” Herjavec says. “The past doesn’t define you, and I think that goes for a healthy lifestyle too. I think you’ve got to take care of your body because it’s the vessel for your mind. If you want to be financially independent, you have to work on yourself. Making time for fitness and eating right are valuable parts of every day. That same drive to be successful in business also should drive a person’s need to stay healthy. Herjavec says that it’s important to remember “We all get the same 24 hours.” How you spend that time, he says, is what can determine your level of success. 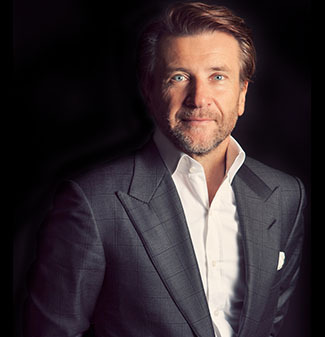 In both his personal and business life, things did not come easy for Herjavec. As the only English speaker in his family, Herjavec carried a heavy load of responsibility. It was those experiences that helped shape the man who today oversees one of North America’s fastest-growing technology companies —a global cybersecurity firm aptly named Herjavec Group — and who became a best-selling author and one of the stars of the popular TV series, Shark Tank. Following the success of his two previous books, Driven and The Will to Win, Herjavec’s new project is aimed at helping small businesses recognize and achieve sales goals. “The biggest thing we find when talking to small business owners, or what we see on the show, where people really fail, is their lack of sales,” Herjavec says. So much of the success of a small business is dependent on sales. He says the often-negative connotation some people make with a salesperson can hold a business back. It’s Herjavec’s contention that in order for companies and businesses to grow and succeed, the CEO or founder must be good at sales. If he had to do it over again, Herjavec says that he wishes he’d have saved more money in his 20s. It took him getting fired from his job — unable to make mortgage and bill payments — to properly motivate himself to get on the right track to success. Tweet @robertherjavec about his #SamsClubMag cover story. Herjavec says. “There was a great lesson in it for me — you never know what you’re capable of until you’re put in that situation. Herjavec acknowledges that starting a new business, or even a new job, is risky. One of the keys to taking those risks is having something to fall back on, even if the risk doesn’t pay off. It’s also important to keep your goals realistic. Herjavec stresses that you have to be willing to work hard over the long haul, whether you’re starting a business or building a nest egg. Before venturing out on your own, he recommends building up a personal savings that would support you and your family for at least six months. The world has experienced change and growth on a global scale, much in part to the Internet. Herjavec stresses to everyone, including his own children, that competition in the business world has moved well beyond the local level. As a young business owner, Herjavec says that one of the best pieces of advice he received was from Warren Avis, founder of Avis® Car Rental. He advised Herjavec to hold on to the equity in a business, something he still follows to this day. One of the best ways to find that success, Herjavec says, is to find something you love. That passion for what you do makes it easier to succeed at whatever endeavor it is. “Then you have to find a way to add value to doing that thing you love,” Herjavec says, which is a cornerstone in building personal success and happiness. For Herjavec, it was competing on the reality competition Dancing with the Stars. “I went on a show that required me to dance in front of hundreds of people in a live audience and millions of people watching (on TV), and I had never danced in my life. That, to me, was far scarier than racing cars, jumping out of an airplane or any of it.